Tell us a little about yourself. 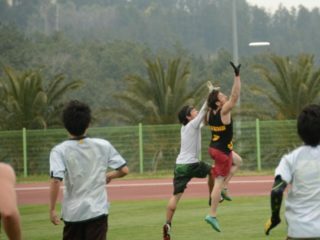 How did you get involved with Ultimate at UW? Phil Murray: I first got into Ultimate here at UW my freshman year. I had relatively no experience playing but had seen my older brother play in college at Texas and North Carolina. I knew that I wanted to try playing but I didn’t know what it was going to be like. Turns out it was awesome! Eric Braun: I played some pickup in high school, then found the UW club at the club sports fair during my first week as a freshman and I’ve been playing ever since. What is Ultimate at UW all about? 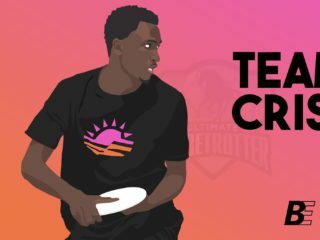 Phil: To me Ultimate is really about a few main things at UW. 1. Having fun. If you aren’t having fun while wasting thousands of dollars and neglecting your classwork, why bother? 2. Working hard. 3. Being part of a team. 4. Win, Herm Edwards said it best, “YOU PLAY TO WIN THE GAME”. You win by having fun, working hard and being part of a team. Eric: The club is about having a great time competing and getting better at a game that we all love. Practices are fun, and the big time commitment is absolutely worth it when we go to tournaments. How did your team do last year? Greg Brey in white tries to throw around the mark of Western Washington's Devan Larson at 2010 NW Regionals. Phil: Last season we were in a sort of rebuilding year. After losing in the game to go to Nationals in ‘09. In ‘10 we came back with very few experienced returners. After a slow start early in the year we were able to find our identity as a team and exceed our expectations by finishing tied for fifth at Regionals after being seeded 9th. Eric: Definitely Western[Washington University]. We play them several times every year and have built a big rivalry with them. Probably the best game I’ve been a part of was against Western at ’09 Regionals. It was for the chance to play the loser of the finals, and we each went on runs until it was universe point, which lasted for at least 15 minutes. I think there were more people watching us than watching the finals on the next field. We won on a layout to the back corner of the endzone. Tell us about your coaches. What do they bring to your team? Eric: Our coaches are phenomenal. They both bring a ton of experience and knowledge to the team. They also work very well together, having coached together for the past 4-5 years. Phil: Pat and Gabe are also great friends with all the guys on the team. It’s a great feeling to know that there is an someone who can give you advice on and off the field. They truly love coaching and becoming good friends with the guys. We are truly lucky to have such great guys coaching us. What player is most likely to make a huge play as a thrower? 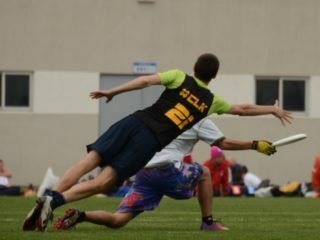 Eric: Michael Capeloto but if you play Ultimate you know him as Ofro. He may look like a goofy redhaired string bean, but he has a cannon for an arm and the breaks to complement it. As a receiver? Duncan Linn. The 5’6” Accounting major might be our most athletic player. When he’s on the field you can expect him to get open and jumpball put to him is not an automatic D win, we’ve seen him sky guys 6 inches taller than him and he’s got the speed to burn anyone. On D? The Erics, Eric “Lefty” Braun and Eric “Righty” Wallig. The best friends have been the anchor of the D line for the past two years. Lefty locks down the handlers while Righty patrols downfield and shuts down opposing cutters. Greg Brey is covered in what appears to be mud. Eric: Our goal is to be efficient with our throws and use all our players in the best way possible (like throwing hucks to our taller receivers). On D we like to play hard man-to-man coverage and get sweet layout D’s. 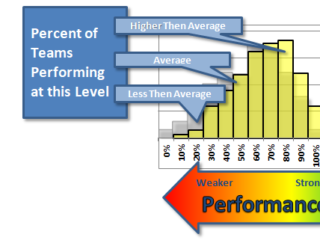 What has your team been doing this fall to prepare for the spring season? Eric: Teaching rookies how to play makes returning players understand the game much better, which is good because we have a lot of rookies. We are also going to a couple fall tournaments to finalize our team for the spring. 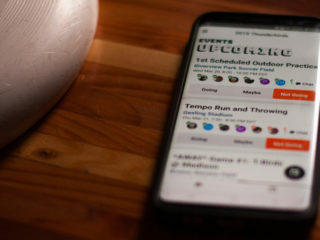 What tournaments do you plan to attend in the spring? Which are you most looking forward to? Phil: We’ve heard rumors of a tournament on the polo fields in Sarasota. Eric: We stay loose, joke around a lot, and probably do a sing-along of some kind. Phil: There are so many songs to choose from but I think if we want to accurately describe UW through song it would have to be Taio Cruz’s “Dynamite” (the international version of course). Not only is it catchy and annoying, it’s vaguely immature yet always emphatic. Also, we came to dance dance dance dance. What’s the matter with UW? Phil: I see what you did there. We haven't seen all of them drink, but we're pretty sure most of them do it, even if it's only when no one else is paying attention.